Pool Party at Ocean Beach Club returns to the San Antonio venue every Friday. 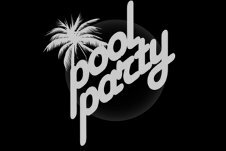 Opening on the 26th May, Pool Party resident DJs play the freshest summer anthems to a party loving crowd. The spectacular Gaz Kempster entertainment will charm and captivate the crowd along to the up-beat, uplifting music. One daytime party session not to be missed is Pool Party, Ocean Beach Club.